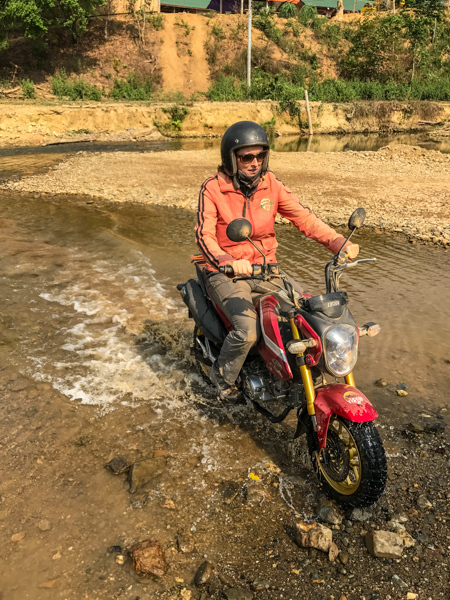 Adrenaline Overload: My First Motorcycle Adventure, Laos Style — 2checkingout | travel and adventure | Inspiring. Capturing. Experiencing. Our introduction to Uncle Tom didn't go quite to plan. 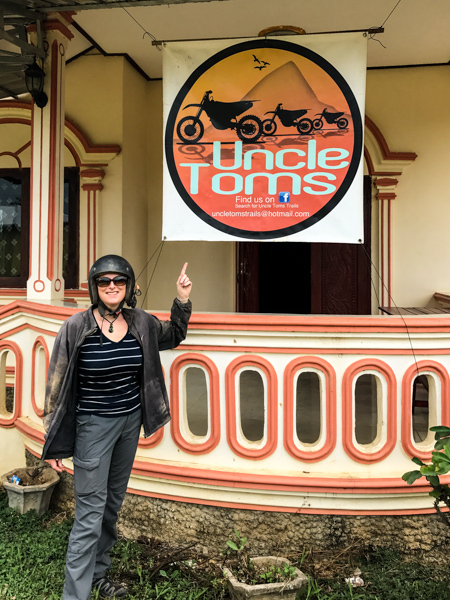 Just two weeks before while looking for things to do in Laos we hit upon Uncle Tom's Trails. 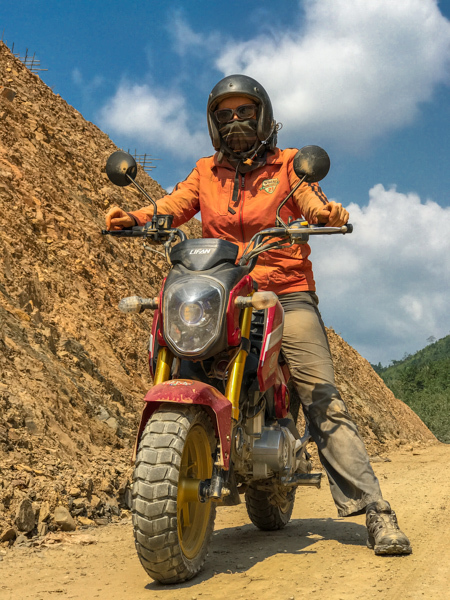 An adventure motorcycle tour complete with tuition for the absolute beginner. 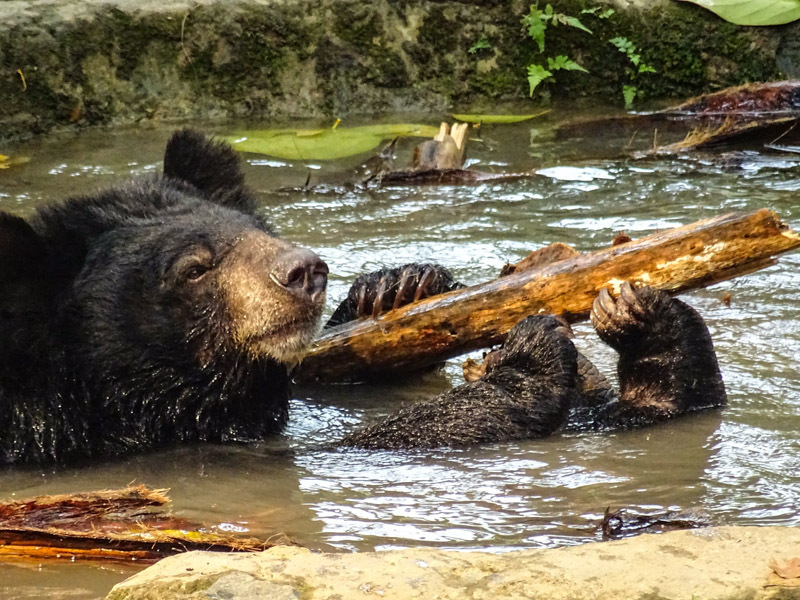 It sounded perfect as we didn't fancy any of the usual things to do in Vang Vieng. We signed up for an off-road adventure through the Laos countryside. Now as we lugged our backpacks off the minibus outside a deserted looking pink and lime green house we wondered if we were in the right place. Well, we would have been a couple of weeks ago. Uncle Tom had recently moved. He quickly came to our rescue on his trusty Wallace & Gromit style motorbike and sidecar. We piled on complete with luggage and cruised to his new place on the outskirts of the small town of Kasi. Within five minutes we were sat supping PG Tips, eating biscuits and chatting like old friends. Our host, guide, and instructor, Steve aka Uncle Tom, with his tight curly locks and strong jaw bore a striking resemblance to the Welsh crooner Tom Jones. Welsh himself, he regaled us with countless 'dad jokes' in his dulcet tones over the next 24 hours. With nerves mounting, it was time to see if I was good enough to tackle the overnight off-road challenge. First up a practice in the garage using a static training stand holding the back wheel in place. For 20 minutes I practiced switching between clutch and acceleration while Steve pottered around the small garden on his bike. That mastered, we rode 5 minutes to some wasteland nearby (me on the back of Tom's bike). This wide open space was perfect for Tom to see if I could handle the bike. I practiced gear changes in sweeping figures of 8. All the time, Tom gave me guidance through my helmet earpiece. He was encouraging and patient. As my confidence began to grow, he hit me with the news that he thought I would be up to the off-road countryside adventure. A wave of excitement and fear hit me all at once. I was less confident in my ability than he was as it was taking all my concentration and focus just on mastering the gear changes and cornering. The off-road motorbike training ground. Throwing an overnight bag into the side car and gearing up with a funky biker jacket we headed out. Steve and I following behind Tom. The first 12 km on the tarmac was relatively easy, aside from the hundreds of kids kicking out from school riding in clumps on their push bikes. An armada of school kids on bikes. We hit the edge of town and peeled off onto our first dirt road, still flattish at this stage so no gear changes required. Cute smiling toddlers waved and shouted 'sabaidee!' as we cruised by. We dodged cows, calves, bison, dogs, chickens, and piglets as the road quality deteriorated. Water buffalo and calf, just another obstacle. The road, or rather track, now featured long ruts and gullies from rain water challenging me to plan my path ahead. It became hillier testing my gear changes. With my concentration levels now maxed out, Tom kept feeding me a steady stream of instructions, encouragement and bad jokes through the earpiece. And then there was the dust. Lots of it. Some of it was so thick that it nearly derailed me as I lost control. Putting my feet down to steady myself I sprayed a thick coat all over my legs, but I managed to stay upright. Further on, the road was being widened and the workers had sprayed the surface making it wet and slippery. I stalled and skidded here and there but stayed upright. I was getting better, my confidence continued to improve and I started to relax a bit and take in the beautiful scenery. The Laos countryside is just so beautiful. As the sun began to dip, we stopped for fresh watermelon at the side of the road. The entire familywere very amused that Tom teaches foreigners how to ride a motorbike. They pretty much learn from birth. This amusement turned to giggles as they watched me repeatedly stall and stutter as I tried to pull away smoothly. Up until now, Tom had been giving me push starts in second gear so I could focus on the main riding skills first. Eventually, we arrived in a small village, collapsing in a bar waiting for the owner to rock up and reward us with a cold Beerlao or two. A wave of exhaustion hit me from the mental concentration and physical exertion over the last four hours. As a newbie, you grip the bike tighter than a python grips his lunch. I could have fallen asleep on the spot. After inhaling two beers, which went straight to my head, Tom suggested we check into the guesthouse. In Tom's unique cheeky style he said the guesthouse was 3 km away. Feeling tired and maybe a bit squiffy, I said I don't think I should ride. So he gave me a lift, all of 300 metres. Funny guy. We grabbed a shower to wash off the thick crust of dust before heading back to the bar for a tasty dinner of pumpkin soup, fried rice and morning glory. Oh, and a couple more beers. We crawled into bed and slept like babies. Steve disappeared off early to check out the local market. Thankfully he passed up on buying the dead snake and rats that were on offer. Leaving around 8 am we headed towards the mountains behind the village. As the scenery got more and more stunning, the road got more and more challenging. Large rain ruts threatened to derail any rider who didn't choose the correct path to navigate them. There was a testing hill to negotiate, both up and down. I nailed it with Tom's guidance. More villages, livestock to circumnavigate and lovely waving children before my final biking challenge. A river crossing. Steve had managed one the day before, but it was well above my comfort zone. Today, although still scared, I decided to give it a go. The stony riverbed tried its best to eject me, but I wobbled my way across with dry feet. I was thrilled. As we cruised the lovely smooth tarmac road back into Kasi, it seemed so easy after the dirt tracks. Less than 24 hours ago I had never ridden a motorbike and here I was 140 km of riding under my belt, much of it off-road. My bum may have been as numb as stone, my back achy and my hands had a couple of blisters, but I did it! And it was fantastic. Tom made the whole experience brilliant, even with his non-stop terrible jokes, which by the way, were a great distraction. Truly, one of the best things we have done in a long time. So, what are you waiting for? 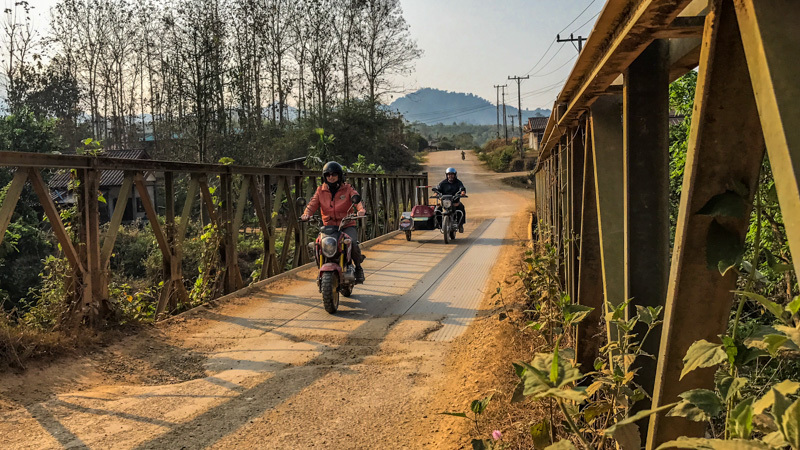 Jump out of your comfort zone and onto two wheels, there is some breath-taking Laos countryside out there to explore and Uncle Tom is the man to explore it with. A big thank you to Uncle Tom for a fun filled adventure. Is this suitable for me, I have never ridden a motorbike before? Trust me, if this uncoordinated 40-something can do it, you can. It helps that Tom is an incredibly patient and encouraging teacher. Once he has assessed you, he recommends the best route based on your abilities. What do I need to bring? While riding, you need to cover up as it is hot and dusty. Wear long trousers, hiking shoes or trainers, and a t-shirt. Tom will provide you with a helmet, jacket, dust mask, and goggles, although I preferred my buff and sunglasses. You can store your stuff at Tom’s place. You only need to bring an overnight bag with a change of clothes and the essential toiletries if you do the village stay. Where is Uncle Tom? How do I find him? 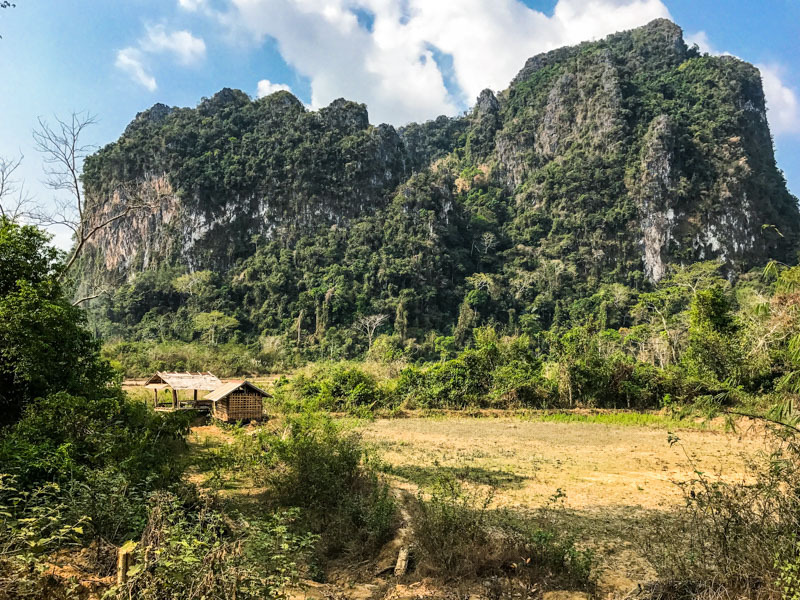 Tom is just outside the town of Kasi, on Route 13 between Luang Prabang and Vang Vieng. Local buses from Vang Vieng take about 90 minutes. We came from Luang Prabang where you can take the bus or minivan (4 hours). Tom kindly arrange seats on a minivan for us which dropped us right at his door, albeit at his old house! How big is the group? Usually, Tom only takes out two people at a time, that way you get focused teaching. For this reason, book as far ahead as you can to ensure a space.